CAIP'09 is the thirteenth in the CAIP series of biennial international conferences devoted to all aspects of Computer Vision, Image Analysis and Processing, Pattern recognition and related fields. The last CAIP conferences were held in Groningen (2003), Paris (2005), and Vienna (2007). 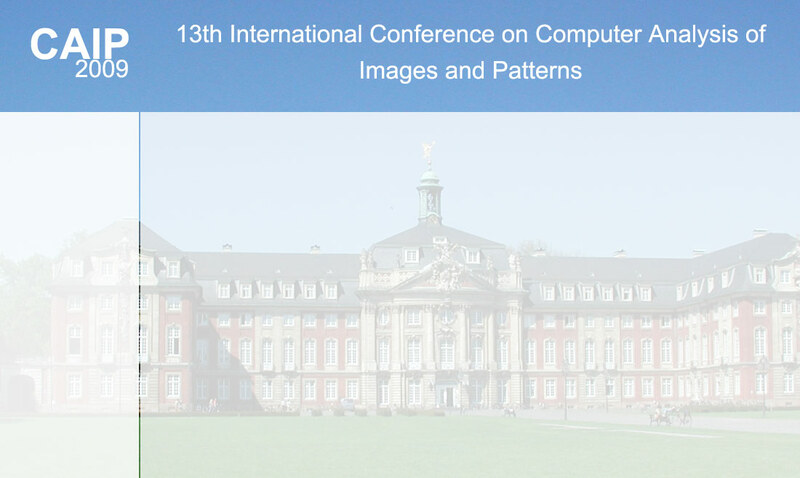 CAIP'09 will be hosted by Münster University. The scientific program of the conference will consist of keynote addresses, contributed papers presented in a single track, and posters. The proceedings of the conference will be published in the Springer LNCS series and selected high-quality papers will be published in a Special Issue of Pattern Recognition Journal . Click here to see the conference pictures for downloading.